Margaux Hemard, September 2018 Graduate - After completing the workshop, Manhattan Edit Workshop hired Margaux as a Teacher's Assistant for the following Six Week Workshop. Once that workshop ended she was hired as a Junior Conform Artist at Harbor Picture Company New York where she is currently working. Here she is the assistant to the Senior Conform Artists of feature film, television and commercial post-production. Carlos Lample, March 2018 Graduate - Based on MEWShop's recommendation, Carlos was hired as an assistant editor on a feature length documentary titled, Basketball: A Love Story. Carlos had this to say about his experience on this documentary, "Getting this freelance job was a direct result of taking the Six Week Workshop - being that you guys recommended me. The icing on the cake was earning my first broadcast credit!" 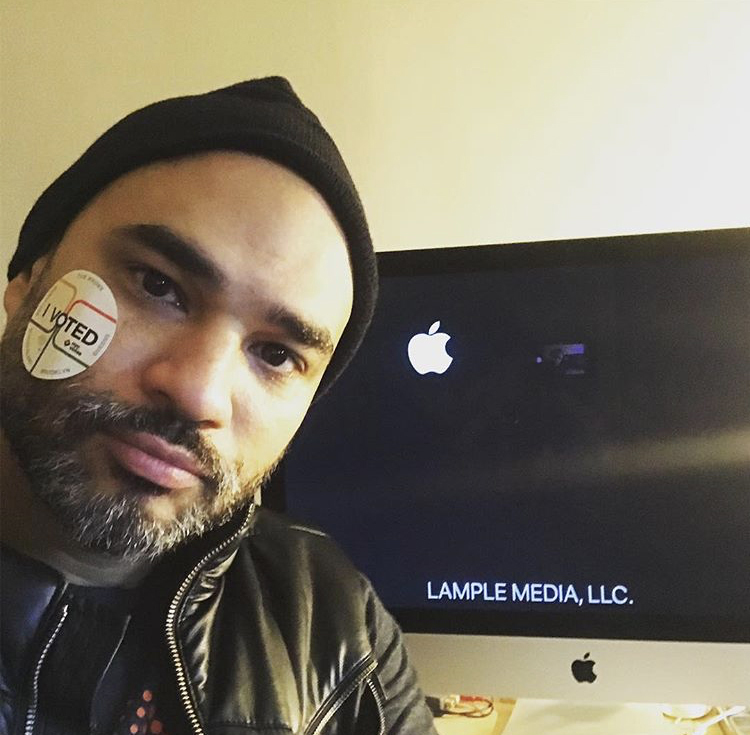 After the workshop Carlos also created his own LLC (Lample Media) and is currently busy producing skits, a web series, podcasts, music videos, and promos. Sally Littlefield, November 2017 Graduate - A few months after completing the workshop Sally was hired as a Post-Production intern at Radical Media/Outpost Digital. Once she completed the internship she was hired as an assistant editor at Radical Media/Outpost Digital where she is currently working. She recently worked as an assistant editor on the Netflix show Conversations with a Killer: The Ted Bundy Tapes, which will be released in mid-late January 2019. Aidan Kelley, November 2017 Graduate - On completing the six week workshop Aidan was hired by AMC Networks as an Assistant Editor for the On Air Promotions department. He helps the editors with trailers, spots and other promotional material for all the shows that air on AMC Networks including The Walking Dead, McMafia and Comic Book Men. He uses avid, and quality check spots before they broadcast on TV, plus helps editors deliver their finished work. Travis McClung, September 2017 Graduate - After completing the Six Week program, Travis McClung was hired as an assistant editor at H&O Productions NYC. He went on to become editor at Paige Media and Tidal Wave Marketing. He is currently editing from his home studio where he edits full time. This is what Travis had to say about working from home, "I've found a lot of work cutting material for YouTube personalities who put out weekly content. Clients range from make-up artists to V-loggers working in Crypto Currency. I've also cut a lot of patient testimonials for medical facilities around NYC. One hefty project included a series of 19 forty-five minute videos for a Pelvic Health Summit where I learned more about the pelvis than I ever thought possible." Bianca Ramdarsingh, September 2017 Graduate - Since graduating from the Six Week Intensive program, Bianca received an internship at ProMedia. This opportunity was made possible through the Manhattan edit Workshop. After three months as an intern she was promoted to Post PA. Through ProMedia she has worked continuously on a network children's television show and contributed to an upcoming Lifetime project featuring woman across the country. She is also in beginning stages of post production for a documentary about autism. Danny Schwartz, June 2017 Graduate - After completing the Six Week Workshop Danny was hired as an assistant editor at ITV Pictures and worked on such shows as Pawnstars, Alone and QueerEye. Currently he is working as an assistant editor on a new ESPN documentary series called, Basketball: A Love Story. Justin Gutwetter, March 2017 Graduate - Shortly after completing the workshop Justin was hired as an assistant editor on Basketball: A Love Story. The 10 part docu-series which aired on ESPN. Currently he is working on Season 3 of the Paranormal Reality show, Kindred Spirits. It will air on Travel Channel starting late January 2019. He also worked as a freelance Assistant Editor for a Branded Content company. Ralph Remy, March 2017 Graduate - After completing the Six Week Intensive program Ralph was hired as a Post PA at ITV Pictures. He is working on the show Four Weddings, which will premiere TLC. As a Post PA at ITV Pictures he is learning a lot about the postproduction process. He works closely with the Assistant Editors and in some cases get hands on experience with assistant editor tasks. Diego Del Corral, March 2017 - Diego had already been working as an editor in Ecuador when he signed up for the six week edit intensive workshop. Since taking the workshop he is now supervising editor and colorist at Congress TV channel in Ecuador. He is also currently working on a documentary feature about organ transplants. Chris Kim, January 2017 Graduate - After graduating from the Six Week Intensive Workshop, Chris was accepted into ITV's Intern program. Once Chris completed the internship at ITV he was offered the position of Edit Loader. He has worked on many shows at ITV including Tesla's Death Ray: A Murder Declassified, The Real Housewives of New Jersey., Girls Incarcerated, The Job Interview, Killing Fields: Murder Isle. He is currently an Edit Loader at ITV where he shares duties with other assistant editors. He is currently working on The Real Housewives of New Jersey. Tony Yip, June 2016 Graduate - Tony is currently working as a Digitizer and Assistant Editor at Departure Films where he works on such shows as Vanilla Ice Project and Rehab Addict; both are non-scribed home renovation shows for DIY Networks. Luke Reibstein, June 2016 Graduate - Luke was accepted into the eight Week paid Leftfield Pictures intern program directly after completing the Six Week Workshop. After completed the internship he was hired by ITV Pictures as an edit loader for the following shows: Forged in Fire (History Channel), Alone (History Channel), Counting Cars (History Channel). He spent some time working at Vice as an Assistant Editor where is working on F#@# That's Delicious (Viceland.) He is currently working as an Assistant Editor at HBO on Last Week Tonight with John Oliver. Margarida Francisco, March 2016 Graduate - Margarida was hired as an Edit Room Loader by ITV Pictures shortly after completing the Six Week Program. She is currently working her way up to being promoted to an Assistant Editor position and her goal is to be an editor. She enrolled in the ITV Editor Mentorship program and is loving it! She is currently working on Alone (session 6) and also helping on Everything But the House. Maan Palmiery, January 2016 Graduate - Shortly after graduating from the Six Week Intensive Workshop ,Maan was accepted into the ITV Pictures intern program. On completing her internship she was hired by ITV Pictures as an edit room loader and was promoted to assistant editor - all of which happened in less than one year. She has worked on many shows at ITV Pictures including Killing Fields Season 1 (Discovery), Killing Fields Season 2 (Discovery), Real House wives of New Jersey (Bravo), Sons of Scientology (not yet aired), Fugitive Roundup (currently in development/pilot). She is currently working as an assistant editor at ITV Pictures. Gretchen Wells, November 2015 Graduate - Since graduating from the Six Week Edit Intensive program, Gretchen landed an overnight gig as an Assistant Editor for Red Bull documentary series. As her skills grew she was recruited to Day Assistant Editor and eventually Lead Assistant Editor. She has worked on Red Bull's Doc Series called "The Horn", AMC's "Comic Book Men", DIY's "The Vanilla Ice Project", Animal Planet "I Was Prey". Currently she is very excited to be working as an Assistant Editor on National Geographic's "EXPLORER" series. Liza Renzulli, January 2015 Graduate - Liza did some assistant editing work on the documentary feature film "The Trials of Spring" shortly after taking the class. She is currently assisting on an Amazon docu-series called "The Fashion Fund." Steve Vanucci, November 2013 Graduate - Since he took that class, Steve has been working as an assistant editor at lifestyle programming production company BSTV. John Bacon, June 2013 Graduate - John now works as an assistant editor for the promotional department at A&E Networks. Shortly after the class he worked at Zodiac New York on the post-production team for the show "Smokey Mountain Money." Jessica Dowling, January 2013 Graduate - Jessica has worked at The Now Corporation as an Editor/Assistant Editor since March 2013. She has worked on various music videos, promo spots, commercials since she started. Max Mangel, January 2013 Graduate - Since graduating Max has worked as an assitant editor on "MeatEater" and "The Mind of a Chef," for the production company Zero Point Zero. He is currently assisting on the show "Apex Predator," on the Outdoor Channel. Eddie Cheaz, September 2012 Graduate - Shortly after taking the class, Eddie began working for The NonVerbal Group as an editor and producer. In this capacity Eddie captures and analyzes nonverbal communication that he edits and produced for use in their research, education, and training purposes. The Nonverbal Group are a group of academics and professionals who are dedicated to conducting research on nonverbal communication, while furthering the understanding of this relatively new and fascinating branch of social science. Aliana Melendez, January 2012 Graduate - Aliana started as a Logger/Edit Room Assistant at Hybrid Films for the show "Parking Wars" shortly after completing the Six Week Intensive. She briefly worked as an Assistant Editor at Sharp Entertainment, before going to BET/Viacom as an Assistant Editor/Media Manager where she has been since 2013. Kevin Park, January 2012 Graduate - Kevin started out as an intern at an animation studio, for a stop motion children's television pilot called Magic Mokee Heroes. While he was on that project, I was promoted to a junior editor position. At the same time, he was an assistant editor for McConkey, working under the editor David Zieff (who was the Artist in Residence during Kevin's Six Week Intensive program). He continued on at that post production facility as a perma-freelance editor for a couple years where edited animated commercials and sequences for video games. About 4 years ago, he accepted a position as First Assistant Editor on a 20 hour documentary series for ESPN. He is currently working as editor/producer on a 10 part, 20 hour Basketball Documentary directed by Dan Klores and reunited with David Zieff who is the Lead Editor/Producer. Iris Rodrigo, March 2011 Graduate - Iris is a video editor on Health videos crafted from scripted interviews with experts, images, and creative graphics at Health Guru Media. Her focus there is on personal story videos featuring unscripted, documentary-style intereviews and b-roll. Healthguru.com is the leading destination site for health video on the web. David Pisani, March 2011 Graduate - David recently completed his first feature film "Isn't it Delicious", by director Michael Patrick Henry. This recent movie starred Tony winner Alice Ripley, in addition to the male lead Keir Dullea, who played the lead Dave Bowman in Stanley Kubrick's 1968 "2001: A Space Odyssey". Parker Dixon, March 2011 Graduate - After working as a teaching assistant for Manhattan Edit Workshop's Six Week Intensive, Parker began freelancing at Studio 13 on various projects. Parker aslo was an assistant editor on the feature documentary film "Wrenched" about environmentalist Edward Abbey by director ML Lincoln. Once completing that project he was in the same capactity on "30 for 30: Of Miracles and Men," the story behind the Soviet Union hockey team that was upset in the 1980 Winter Olympics. He is currently an assistant editor on the series "Parts Unknown with Anthony Bourdain," on CNN. Alex Pieretti, October 2010 Graduate - Shortly after taking the class, Alex got a freelance assistant editing job at JWT Marketing in Manhattan. JWT is the world's best known marketing and communications brand and the fourth largest advertising agency in the world. Michael Sorola, July 2010 Graduate - Michael is currently working in San Francisco as an Editing Intern and Assistant Editor at the 9th St. Independent Film Center. "Being a Mewshop Alumni really helped me get the position. I am actually doing and will be doing everything involved with post-production", says Michael about his roles. Michael adds, "Right now, we are working on a feature doc and looking to be picture locked by Spring 2011. We are also in the early stages of pre-production for a feature narrative." David Marks, June 2010 Graduate -David has been assitant editing on a feature documentary "When The Drum Is Beating", about a haitian jazz orchestra that's been playing strong for 60 years. This film will be debuting at the 2011 Tribeca Film Festival. Rebecca Reiley, April 2010 Graduate - Rebecca recently started working on a documentary for the American Independence Museum. The museum is located in Exeter, which was the capitol of New Hampshire during the Revolutionary war. The premise of the documentary is how New Hampshire played a critical role in shaping our nation. "The documentary was a lot of work to do, but I was able to apply what I learned about Final Cut Pro directly to the film", says Rebecca. The film will be shown at the Museum and on NHPTV summer 2011. Christopher Graham, October 2009 Graduate - Christopher has been working for ABC News running the hidden camera truck for WWYD. He recently worked on the 2011 Sundance Selection "Higher Ground" and has been assisting on the latest "Paradise Lost" documentary. Michelle M. Kim, March 2009 Graduate - “Manhattan Edit Workshop gave me the tools I needed to confidently apply for jobs at established post-production facilities. I found that I had an advantage over other applicants in that many people in the industry highly regard the caliber of instruction at Mewshop. Two years after having graduated from the Six-Week Course, I obtained a job at very well known and reputable establishment, thanks to Mewshop's work force program. Attending the six-week workshop was hands down the best decision I made for my career,” says Michelle. Michelle is currently working as an editing assistant at NBC Universal/Peacock Productions, one of the leading media and entertainment companies in the world. She is working on an original series created specifically for the Sleuth Channel, an NBC Universal Cable network dedicated entirely to the intensely popular and enduring mystery and crime genres. An NBC employee who coincidentally, was also a Mewshop Alum, hired Michelle. In addition, she is currently editing a cooking/travel show touring in Korea, which features Chef Jean Georges and his wife Marja. The show is co-hosted by major celebrities, Hugh Jackman and Heather Graham, and is set to air as a national broadcast for PBS. Since leaving Hybrid, she has worked as an Avid assistant editor on "Cash Cab Chicago" (Lion TV) on the Discovery Channel, "The Mathis Project" (iTV) - an hour special airing on BET, and she is currently working on a princess themed hour show for "Say Yes to the Dress" airing on TLC (Half Yard). She's also worked as assistant editor on "1stAveMachine" and broadcast commercials for Google, Nokia and Fuse. Watch her Six Week student profile video above. Todd Cury, August 2008 Graduatee - Upon completion Cury began freelance work on Steven Segal’s “Lawman,” and the Discovery Channels’ “Storm Chasers.” After Mewshop owner Josh Apter reached out to him with a possible job opportunity at Hybrid Films, Cury was brought into the studio for an interview and immediately hired. “I would never have gotten this position had it not been for the tools I learned at Mewshop,” says Cury. He logged for six months at Hybrid Films and was then promoted to Production Coordinator for the show “Dog The Bounty Hunter.” He quickly became his own boss, supervising his colleagues, some of which attended Mewshop with him. Cury is about to head into his eighth season of “Dog The Bounty Hunter,” and his second as a Coordinator. Stacy Parrish, May 2008 Graduate - Last year, Stacy was an honorary guest speaker at the Swedish Film Festival “Pixel,” during which he spoke of his sound design and scoring work with T Bone Burnett. While at Mewshop, Stacy was given the opportunity to log footage for the popular A&E series "Dog the Bounty Hunter" and "Parking Wars". This experience led directly to a gig as a sound tech for Zodiac, owner of the Swedish MTV. Parrish created content for a popular Swedish TV “house wife” reality series called "Skane Fruar". Parrish has also been shooting and editing an educational film for Malmoe University about “Horse Therapy;” using horses to help people with mental and physical afflictions. He was recently named post-production supervisor on a film for one of Sweden’s brightest new burgeoning film directors, Robert Lillhonga. He is supervising the films grading in Color, and is producing the score and engineering the sound design for the entire film. In his spare time, Parrish has been working with a British film director co-creating a documentary about an American photographer who specializes in surfing photos. He travels around the world shooting the world’s best surfers in the most extreme conditions. The duo will be following him to Australia, Fiji, Hawaii, and California to collect footage and content for the documentary. The film will be funded with Swedish culture money. Frank Perrotto, February 2008 Graduate - Frank's most recent work in post-production work includes "Made" for MTV, ESPN U, "Dora the Explorer" and Nickelodeon. He's also editing a sizzle reel for History Channel's "UFO Hunters" and A&E's "Paranormal State". Veronica Rutledge, November 2007 Graduate - Veronica's recent work includes being an Assistant Editor on a Eurostyle film called "Generation Um" starring Keanu Reeves. Since graduating she's also worked at MTV, and as an apprentice for former Artist in Residence Brian Kates, ACE, for the feature film "Jack Goes Boating" directed by Phillip Seymour Hoffman. She also worked on the post-production staff for a feature length documentary on The Police guitarist Andy Summers. Valentine Sheldon, July 2007 Graduate - Over the past few years Valentine has edited a lot of sizzles, pilots and episodic television, including A&E's "Peacemaker: LA Gang Wars", the pilot for A&E's "Purgatory", and various stages of shows for TruTV, Lifetime, MTV, Bravo, TLC and ABC. His work also includes two feature length documentaries, "Carjacked" and "Another Lost Angel". Valentine served as a producer and editor for segments of ABC's 2008 Peabody Award winning documentary "Hopkins". Ari Feldman, May 2007 Graduate - Ari has been the editor and assistant editor of independent films, documentaries, television shows, and corporate videos. He was the assistant editor of the film, "Wedding Bros." and his clients include Lifetime and the Princess Grace Foundation. Ari is currently one of our Six Week Intensive instructors as well as a Certified Apple Instructor. Todd Shuss, April 2007 Graduate - Todd's been working for the last few years on video production and editing for Alice In Chains, . In addition to his gig as an assistant tour manager, he still works as the band's videographer, photographer, and web site blogger. He's edited most of their tour and studio related videos over the last few years. Todd also does exclusive video production for the Coachella Festival Music Festival every year. Hope Kim, February 2005 Graduate - Hope just finished up an edit for the Ars Nova theatre. She's also worked at Rainbow Media and Young & Rubicam. Michael Slavens,, December 2004 Graduate - Michael owns Five Eyed Films in New York and works as a director, editor and motion graphics designer. His clients include Sam Adams and New York Sports Club. Lekesha Dunlop, November 2004 Graduate - Since 2007 Lekesha has been a freelance Producer/Editor with ABC News. She's also been editing for an ad company based out of Missouri, as well as local projects.